The packaging is quite simple and basic looking. 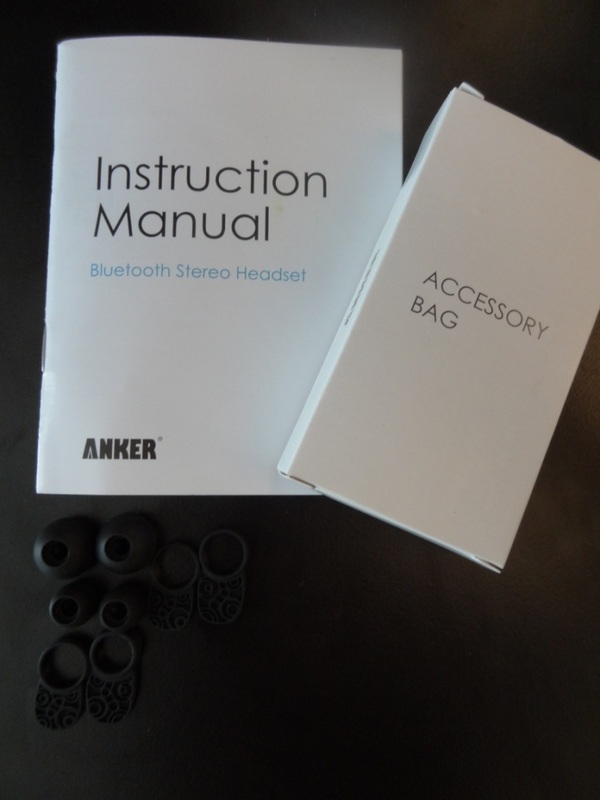 There’s not much to the packaging offered by Anker. Set of small, medium and large tips and 2 sets of strain relief’s. 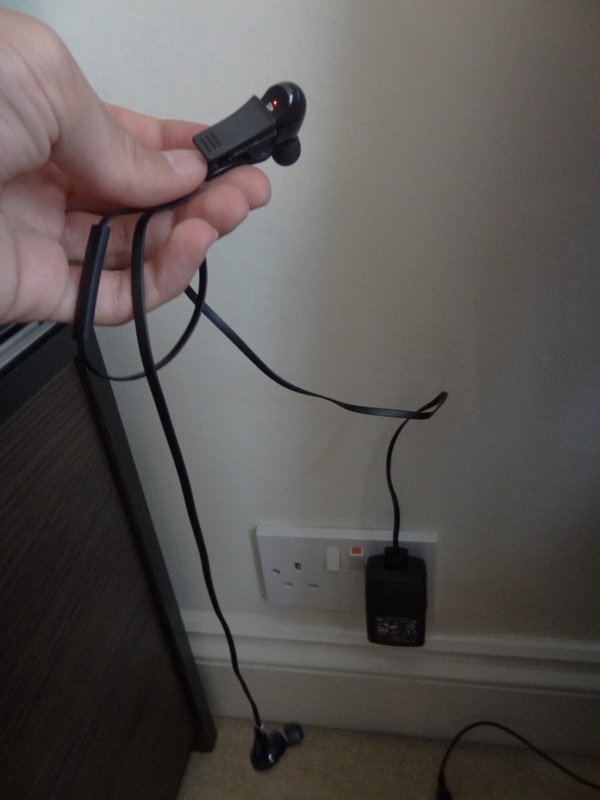 There is also a USB wire that is used for charging the earphones. My first impressions were positive, however I was quickly drawn by the weight and size of the earphones. 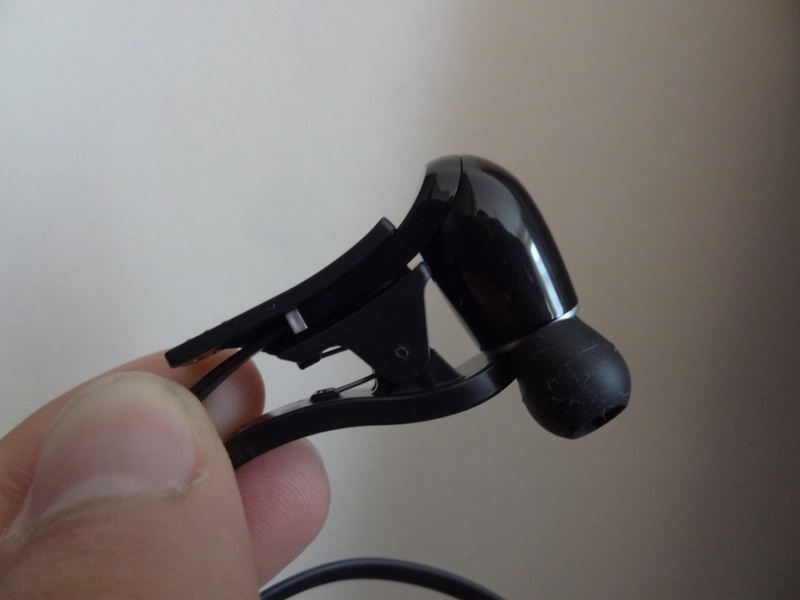 The build quality is decent, however I got sent an initial pair of Anker earphones and they were faulty – they couldn’t accept any charge and would refuse to switch on. 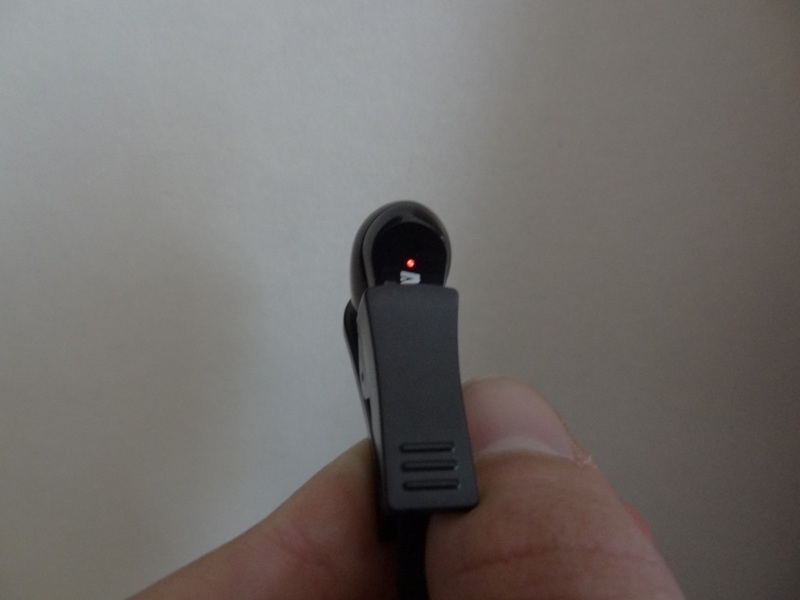 The functionalities of the earphones is really simple – it is all operated via three buttons on the earphones – where the centre button does a lot of the work. 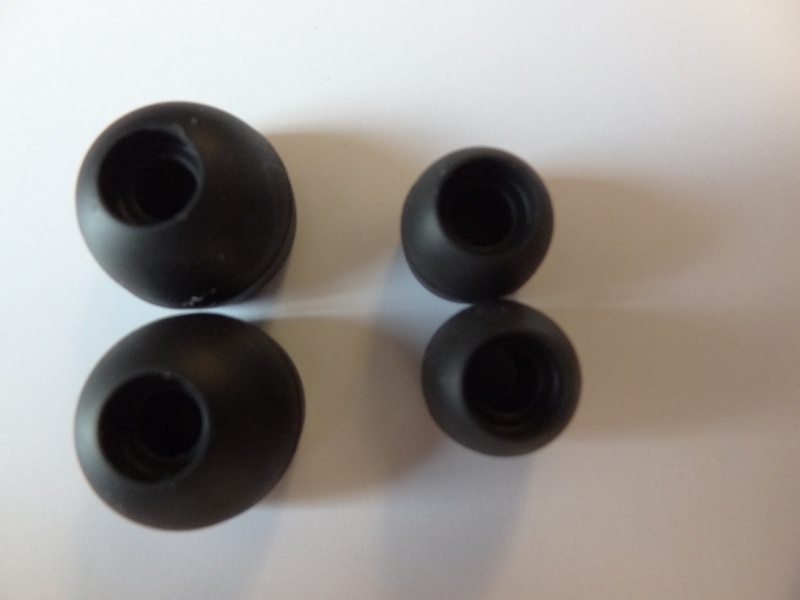 The earphones look solidly built and don’t seem like they will break easily, furthermore the wire that’s used is sheeted and seems quite durable. However, the earphones are absolutely huge. 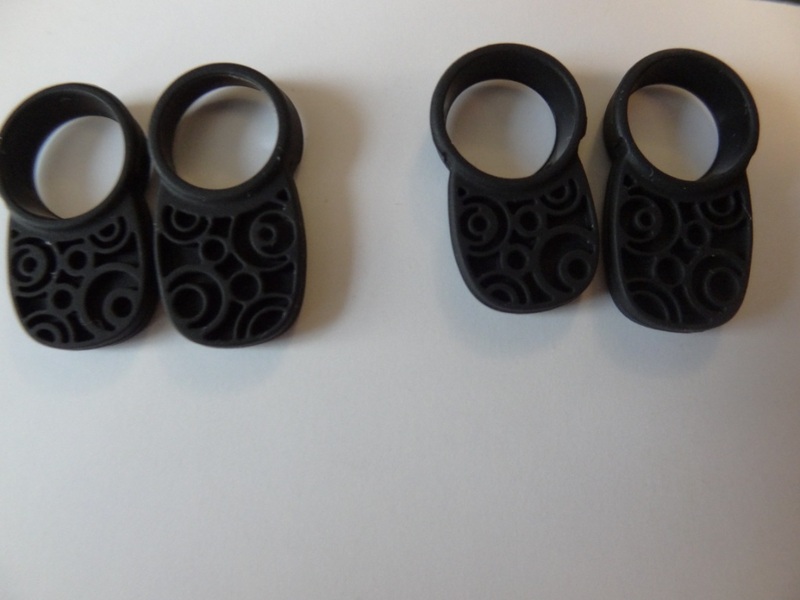 They are really chunky and thus means that size is a real issue for comfort. I find that the design of the earphones could have been better thought out. Due to its abnormally large size it often means the earphones tend to slip out of your ear nor stay in your ear for a duration of time. I shall allude to this a little after in the “comfort” section of my review. The earphones use Bluetooth 4.0, however I found that its range with my S3 was horrible. The range was between 3-5m at most. Whereas other devices I’ve connected to my S3 had a great distance (over 15m at times). I find it disappointing as one of the CORE functionalities of these earphones is to work as Bluetooth earphones, meaning range and connectivity should be one of the stronger points of these earphones. Battery life is also a little disappointing, but that said I can’t complain too much about something with such a small-factor battery. The battery takes around 2hrs to charge and lasts anything between 4-6hrs. I found that the battery is a little short if I want to be listening to music all day on-the-go. However, with that said – I can’t expect its battery to last 15hrs or so as it is a small device in comparison to other things I’ve used. The look is quite intriguing – you look a bit weird with the Anker earphones in your ears. This is due to the size of the earphones. People who are familiar with the UE TF10 will understand where I’m coming from with this. “Frankenstein”-type look, is how I like to describe it. The isolation of the earphones is decent. However due to them slipping out gradually with time, due to their weight, it means isolation is often compromised. I thus rate the isolation with moderation. The comfort is something that gets me with these earphones. Due to their huge size, they fall out with movements and/or with just time. 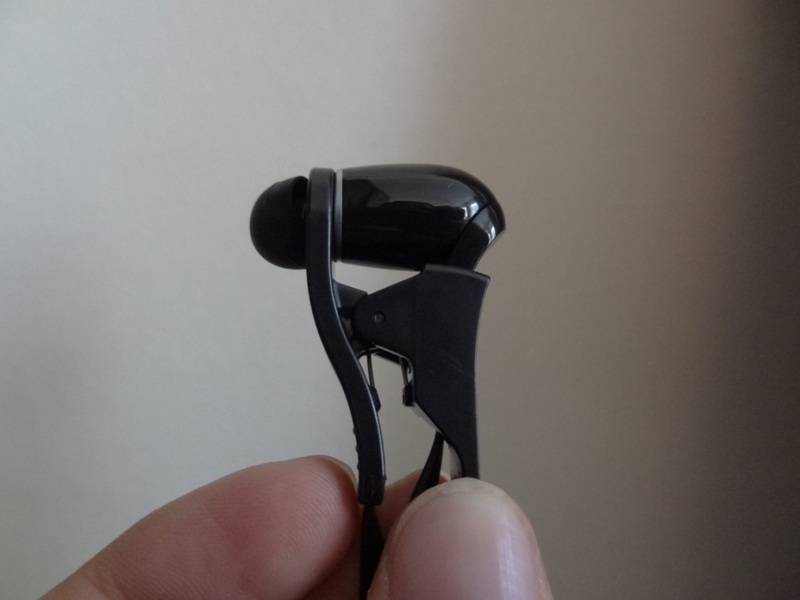 The weight drags the earphones slowly out your ears – I found having a good fit almost impossible. I wear medium sized tips and never really have any trouble with fit, when it comes to earphones. However in this case – it seems that I had a lot of issues, I don’t want to imagine the problems people will face with smaller ear canals. A prime example would be women and ladies who naturally have smaller ear canals, and thus will have a lot of trouble fitting the Anker earphones for anything greater than 30 minutes. The sound quality is something that actually surprised me. I was expecting earphones that have accentuated highs and lows with very dipped mids. 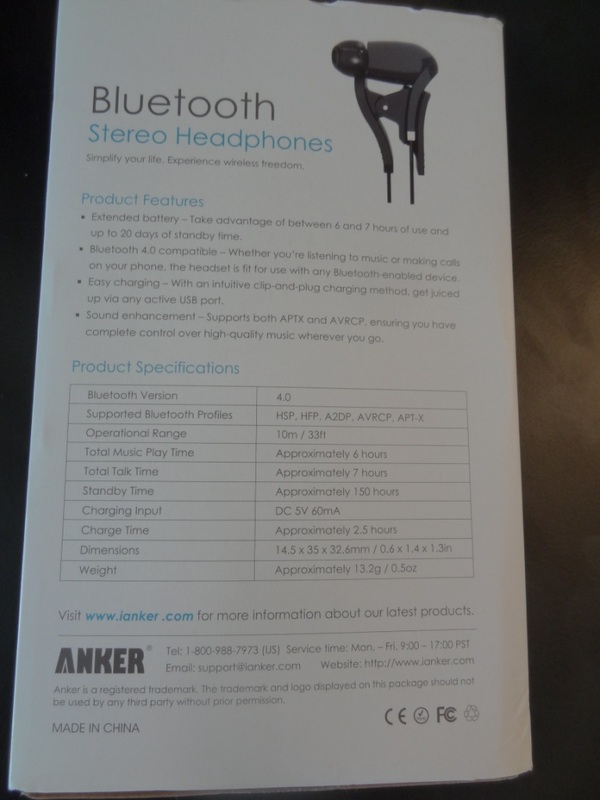 However, this wasn’t the case with Anker earphones – they had a good response throughout the frequency range. The bass was well extended and had a nice impact to them. 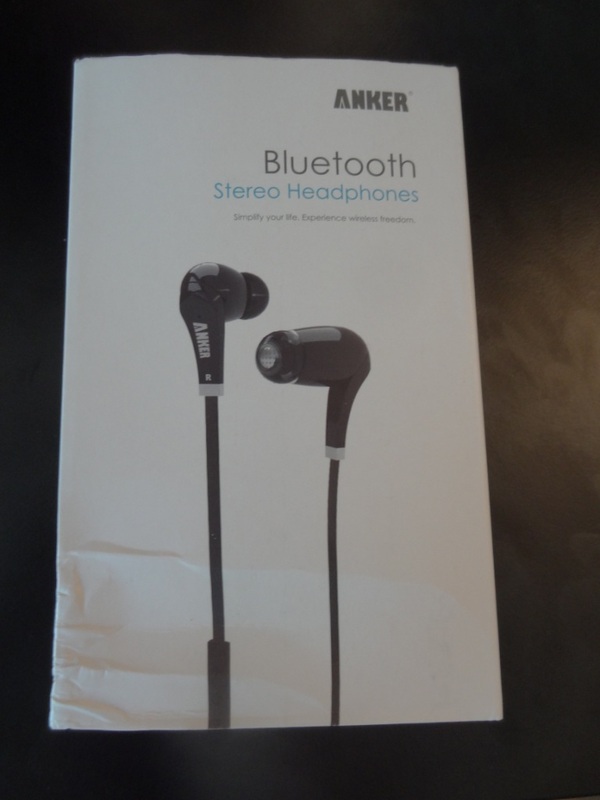 I really enjoyed listening to some of my favourite songs via the Anker earphones. I definitely liked the balance that the Anker earphones provided – not too overwhelming bass tones, but neither were they too weak. The mids and highs were also good – with that said the highs did roll off a bit, but for the price range the Anker earphones come in at, one can’t really complain. The mids weren’t affected by the low end tones either meaning that you got a nice fluid mid range sound extending through different part of the songs I listened to. The soundstage is another attention grabber, where I realised the sound is quite deep and wide. Which is something actually quite rare to find in earphones. I heard this type of deep extension and space on the IE8’s and the UE TF10’s. It definitely isn’t as good as the two mentioned, but it does an extremely good job, which again, surprised me! Overall the Anker earphones are a decent set of earphones at their price tag of around £40-45. The sound quality definitely puts up some competition to regular earphones I’ve heard within its category, such as the Sony EX510’s and the FA Consonance, however its core functionalities as a Bluetooth earphones that are supposed to be portable, fall short. 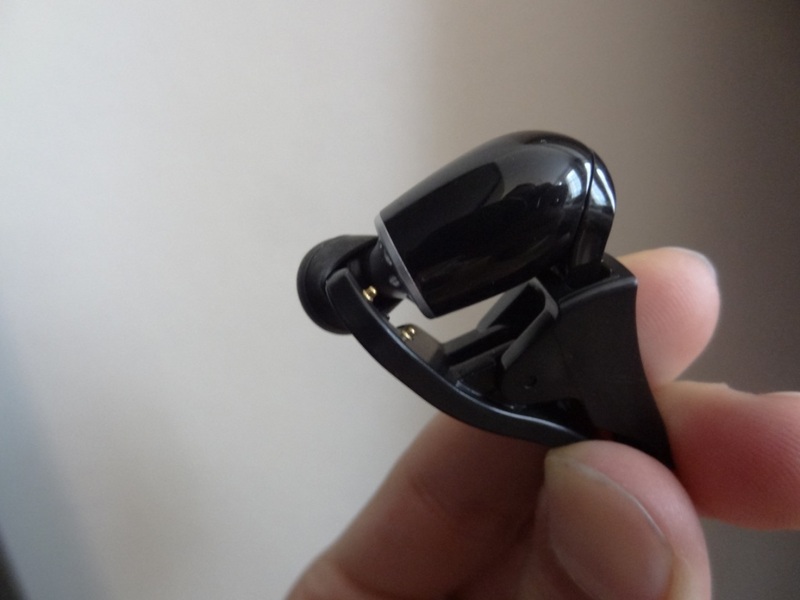 I thus couldn’t give the Anker earphones a lower rating than 3 stars, but nor could I give it a higher rating than 3 due to the design and functionalities of the earphone. Even with it being fully functional, due to my experience of the “broken pair” I didn’t feel comfortable giving these earphones a 5/5 stars anyway. I should state that Anker’s support and answer to queries is unmatched by many manufacturers in the world. Thus when I did receive a faulty unit, they were very quick in sending me a brand new pair, without any fuss or hassle.